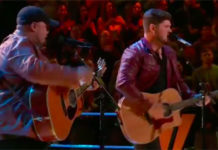 Luke Wade and Griffin battled it out with with Paul McCartney’s “Maybe I’m Amazed” on The Voice 2014 Battle Rounds, October 13, 2014. 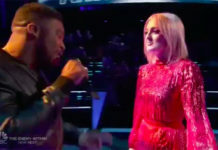 “That was so amazing,” said Gwen. “We all love you, your incredible,” she adds. 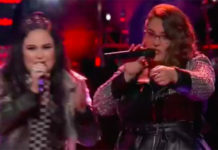 “I think Luke is the best singer in the competition right now. You have range and passion,” said Adam. “For griffin, you hit a note.. a wow high note,” he told Griffin. “One of the greatest battle we have on the show. Luke is amazing but I think Griffin takin’ it. For me Griffin win the battle,” said Blake. “Luke I saw something on you today,” said Pharrell.